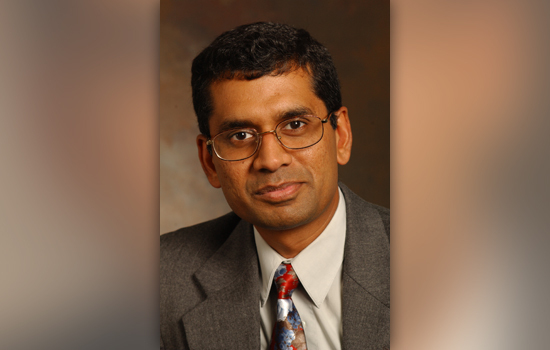 Manian Ramkumar has been appointed interim dean of the College of Applied Science and Technology at Rochester Institute of Technology. Ramkumar, head of CAST’s manufacturing and mechanical engineering technology (MMET) department since 2013, will assume his new post on July 1. He succeeds H. Fred Walker, who is leaving RIT to become president of Edinboro University in Pennsylvania. Ramkumar, who has been at RIT since 1989, started as an adjunct faculty member in the MMET program. During his tenure with the college, he also served as MMET’s undergraduate and graduate program chairs, and as director of RIT’s Center for Electronics Manufacturing and Assembly. “CAST is a unique college that brings together engineering technology and service sciences under one roof,” said Ramkumar. “It has the ability to develop many unique intra-disciplinary and inter-disciplinary programs and is poised to contribute successfully to RIT’s Strategic Plan in several areas. A graduate of PSG College of Technology, India, with a master’s degree in manufacturing engineering from RIT and a doctoral degree in systems science from SUNY Binghamton, Ramkumar is recognized for his research in surface mount electronic packaging, manufacturing automation and systems integration, particularly toward the development of package-on-package technology—the method used to 3D-stack components on printed circuit boards. He is a member of the Society of Manufacturing Engineers, the Surface Mount Technology Association and member of the International Microelectronics and Packaging Society. Through Ramkumar’s leadership, CEMA and MMET faculty have been instrumental in providing training in electronics packaging for regional corporations as well as economic development initiatives for veterans and displaced workers. CEMA is also part of the RIT consortium contributing training and resources for AIM Photonics, specifically in the area of electronics assembly and packaging.